The only two top 10s of Gooch’s career have come in consecutive weeks. The names at the top of the 2019 Farmers Insurance Open read like a who’s who of major championship winners and top-25 mainstays. And then there was Talor Gooch. The unknown. The one who didn’t belong. The only name casual golf fans wouldn’t have noticed. Gooch was making just the 34th PGA Tour start of his career and strung together a 69-68-67-68 run for the T3 finish. 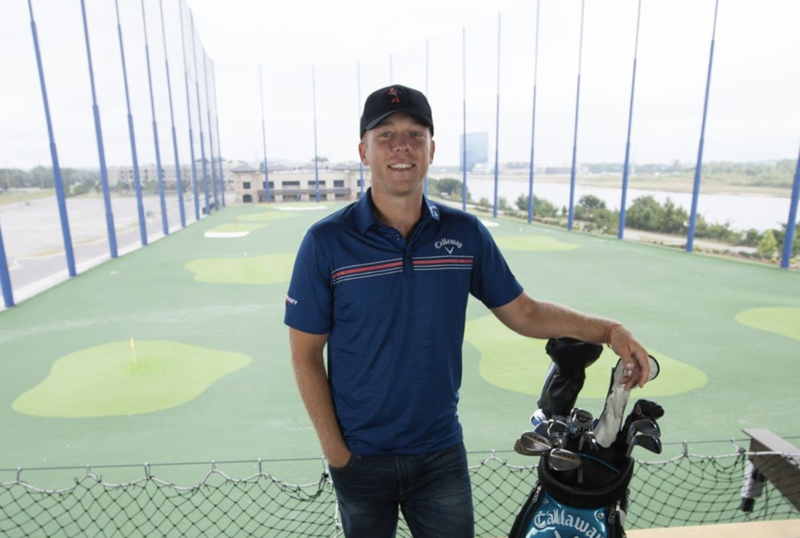 It was the best finish of his career, and it came on the back of the previous best finish of his career, a solo fourth at the Desert Classic the week before. It would be (significantly) easier to find and publish the proprietary pieces to Netflix’s show-suggestion algorithm than to decipher and explain who gets into PGA Tour events and why they get in. Gooch, however, is not in a great position. He finished 139th in the FedEx Cup last season, which means he didn’t get to keep his PGA Tour card (top 125 only) and has this weird, purgatorial conditional status where he can get into tournaments but none of the good ones because of how many folks are in line ahead of him. Howevah … there’s a rule on the PGA Tour that if you finish in the top 10 the week before, you are guaranteed a start in the next PGA Tour event. 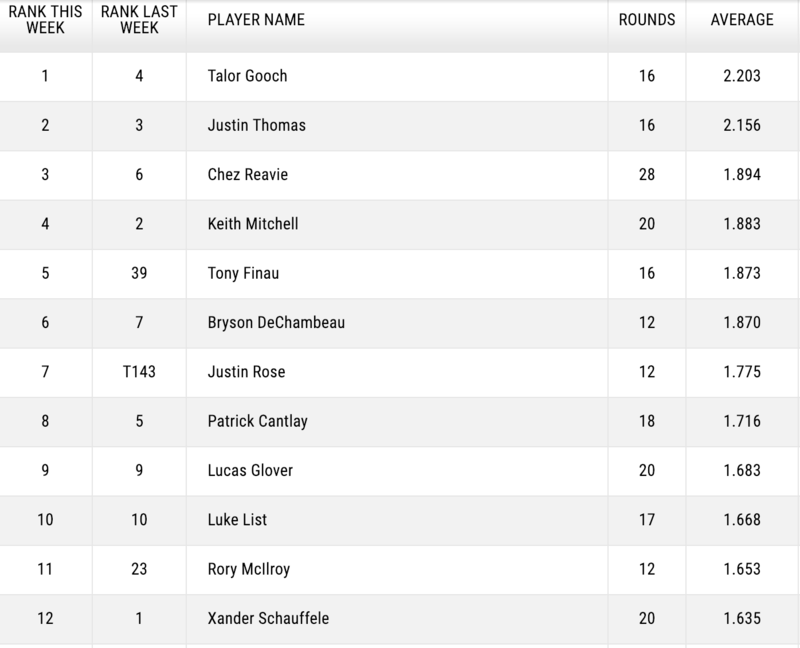 With his fourth at the Desert Classic — a not-great event — Gooch got into Torrey last week, which is a strong event. With the T3 at Torrey he gets into Phoenix this week. And here’s the better news. Gooch has already earned 328 FedEx Cup points. Last year’s No. 125 finisher — Seamus Power — ended the season with just 377, which means Gooch is already on the cusp of locking up a top 125 finish and his PGA Tour card for 2019-20. In his first full year on the Web.com Tour, Gooch took advantage with a win, a runner up and a big enough year to graduate to the bigs. Then last season he played fine as a rookie but didn’t notch a single top 10. Now this. It certainly does. Gooch is currently No. 1 on the PGA Tour in strokes gained from tee to green. No. 1! That likely won’t last, but it’s a testament to how good he is with his iron play (he’s also No. 2 in strokes gained on approach shots). That’s incredible, and it speaks to the kind of golf he’s been playing over the last few weeks and hopefully will continue at Phoenix this week (where he’ll play the first two rounds with another Poke, Morgan Hoffmann). They’re two of the eight Pokes in the field this week. There are eight Oklahoma State golfers in the field this week at the Phoenix Open (and Charles Howell isn't one of them). Four (!) of the five from the 2011 team that Patty Reed beat in Stillwater are playing. Kinda incredible.